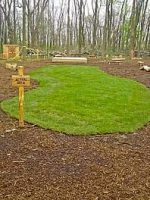 When the leaders of the Northminster Learning Center in Peoria, IL decided to build a Nature Explore Classroom, they had an ideal place to start. Located next to the school building was a wooded area teeming with nature. 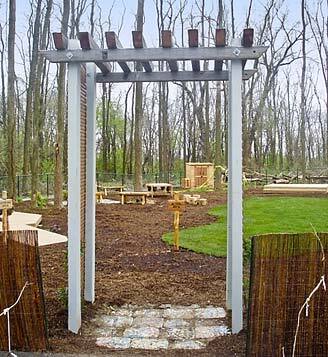 The Nature Explore Classroom at Northminster Learning Center takes advantage of the natural woods nearby, creating an aesthetically pleasing outdoor environment for children. As a result, children are learning in a wonderful outdoor space filled with the smells and sounds of the natural world around them. Northminster Learning Center followed the concept plan provided for its certified Nature Explore Classroom during a consultation visit. The Classroom includes areas for climbing/crawling, messy materials, nature art and music and movement. The school also hosts family events geared to instruct parents on how to incorporate nature in the education of their children. 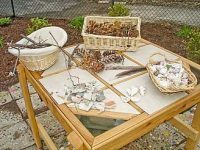 Children can create visual masterpieces at the nature arts area inside a Nature Explore Classroom. An adjoining wooded area enhances the Nature Explore Classroom at Northminster. Whether they’re running around or experiencing the soft touch of grass, children always enjoy the action area.